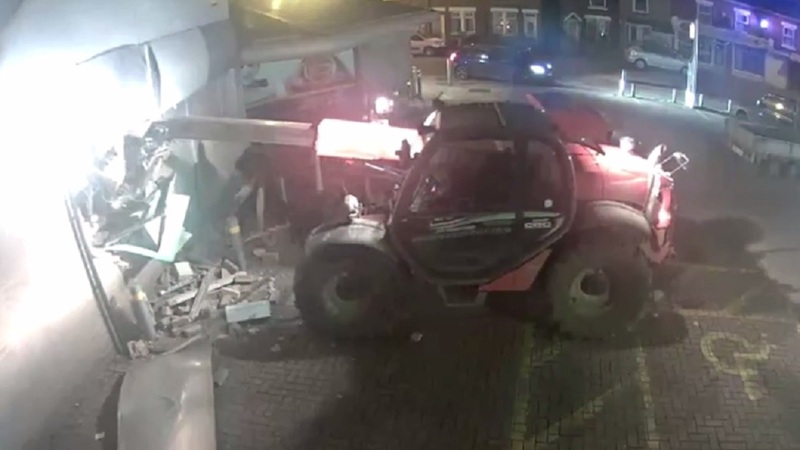 Police have released CCTV footage of a gang stealing a cash machine from a supermarket using a stolen farm vehicle, writes Francesca Froggatt. The footage shows the men arrive with a car, a 4X4 towing a trailer and a telehandler in Hatton, Derbyshire. They used the telehandler to drag the ATM from the wall and load it into the trailer before driving off. The telehandler, which had been stolen from a farm in Tutbury, was left at the scene. The 4x4, trailer and cash machine were found abandoned in Markfield, Leicestershire, days later. The incident follows a spike in stolen farm vehicles being used to ram-raid ATMs in rural towns and villages across the Midlands. In the last month alone, attacks have been carried out in Kings Bromley, Staffordshire, Hatton, Derbyshire, and Ashby-de-la-Zouch, Leicestershire, all of which are within a thirty-minute radius of each other. Police said in all cases, the vehicles used to smash down the wall around the ATMs were diggers that had been stolen from nearby farms and building sites. Rural insurer NFU Mutual urged farmers to ensure machines were locked up securely. 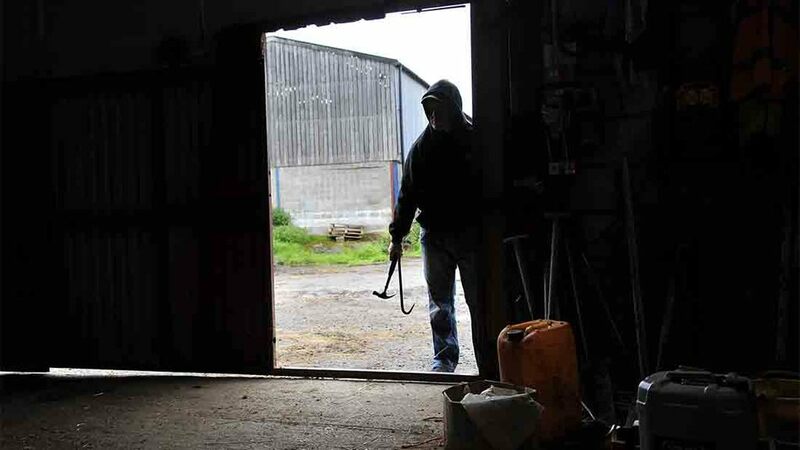 Tim Price, NFU Mutual Rural Affairs Specialist, said: “We are concerned about the increased number of ATM thefts in the last year, especially coming at a time when a growing number of vehicles are being stolen from farms to carry out the crimes. It has not been confirmed by police whether the raids are linked, but the fact that the getaway vehicle used in the Hatton incident was later spotted by police in the neighbouring village to the Kings Bromley incident suggested this was likely. Similar incidents have caused such significant damage to rural shops and garages that some have decided to get rid of their ATMs all together, further limiting rural services. Mr Price said local shops could not afford to be closed for the amount of time it often took to rebuild shop fronts following a raid, with some being out of action for up to six months. He said there was a further risk to people living above the shops, adding, ‘lives could be put at risk’. Anyone with any information about any of the incidents should call police via 101.